Our faith is built on the hope that we have in God. Because our hope is sure, our faith should be active and alive. It should not merely be an intellectual assent or words we confess. It should be acted out on a daily basis. Paul in Ephesians 2:10 elaborates further of this faith. “For we are God’s handiwork, created in Christ Jesus to do good works, which God prepared in advance for us to do.” James exhorts believers in Christ to live out their faith with real substance. 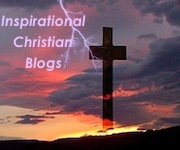 “Was not Abraham our father justified by works when he offered up his son Isaac on the altar? You see that faith was active along with his works, and faith was completed by his works” (James 2:21-22). How should our hope in God influence our living for Him? Are we living the way that reflects the hope that we have in God? Pray that our spiritual leaders will be strengthened both spiritually and physically to continue their work and fulfil the vision or goals for the Kingdom of God. Pray that support and encouragement will be given to these leaders from the members of their churches. Pray for God’s covering and protection to be upon their spouses, children and other family members and everything that concerns them, that they may give themselves fully to the Lord’s work. Pray that their personal time in seeking God will not be hindered by their busyness and outward distractions and that they will be able to mentor others and multiply themselves so that they can pass the baton on to the next generation of leadership in the Church.